Today is likely to be my last chance to visit the river before work resumes next week. 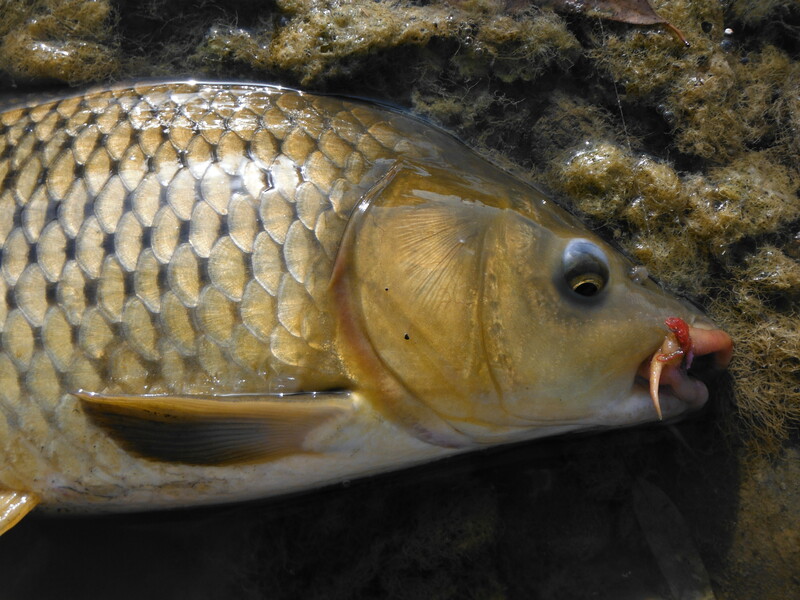 The fishing continues to be good and there are plenty of fish around although getting them to take a fly can be tricky. 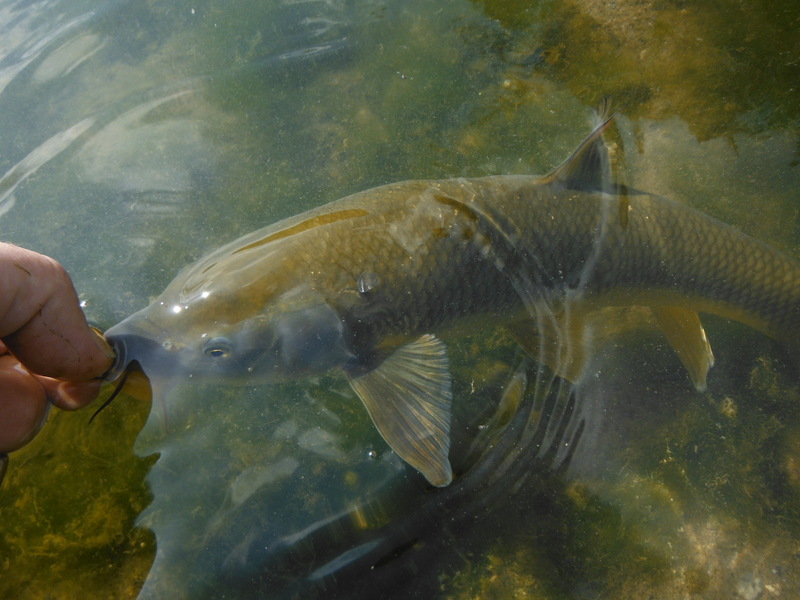 They seemed to feed best in the late morning and in the early afternoon the carp decided to take it easy and bask in the sunshine. Who can blame them? 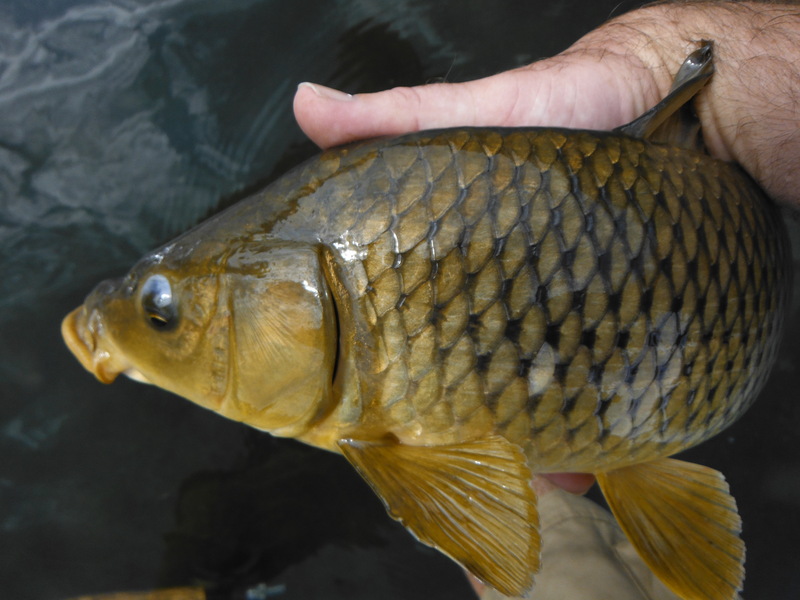 The carp here are really lovely fish with very distinct pattern to their scales. 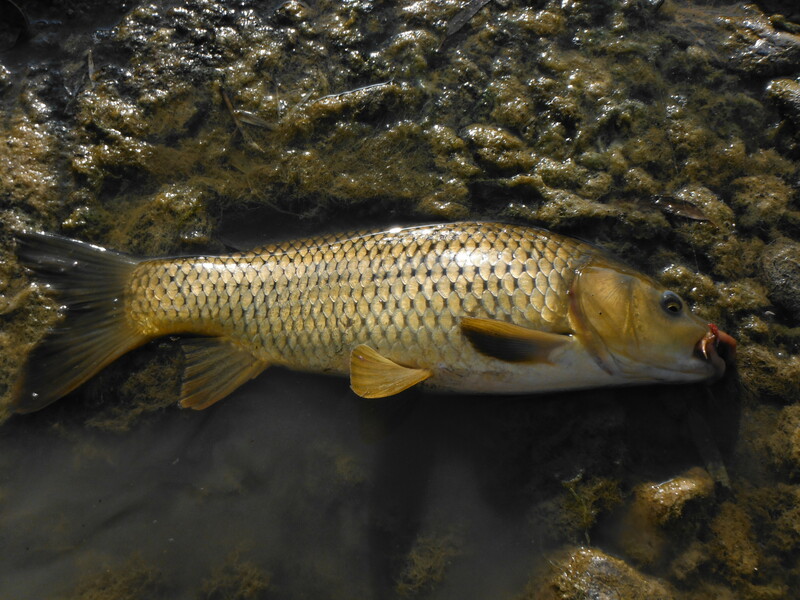 I was fortunate also to catch a couple of gipsy barbel which have beautiful yellow bellies.This is particularly noticeable in larger fish. Just before arriving at the Guadlhorce river I passed alongside so me citrus groves and had the good fortune to see a booted eagle circling low overhead. There is just so much wilderness within a stone´s throw of where we live. How lucky we are! I had hoped this year to catch a trout on Lough Arrow in County Sligo and Finian Dodd was good enough to let me take a boat out in July. The kids, Leo and Pippa, were with me. The trout kept to themselves and there were no rises to the big murrough and green peter sedges we were hoping might tempt them to the surface. The kids were sufficiently provided with wagon wheels and cup cakes to avert a mutiny, particularly when the heavens opened and it pissed rain on the three of us. I had been hoping to catch and photograph an elusive Arrow trout with a view to painting it later. Thankfully, Finny saved the day by providing me with a few good photos of Arrow trout, one of which I painted. Finny is a great bloke and I don´t imagine anyone knows more about the Lough and its trout than he does. He and his wife Mary have revived me on a few occasions with hot tea and biscuits after the trout have ignored me and my flies. I sent the trout painting to Finny as a gift and hope it gets to him okay. I am a little worried. It has been nearly three weeks since I sent it and no word about its arrival! Lough Arrow trout display some of the great range of colours and patterns which characterise brown trout in general. Finny recognises a number of local variants from different parts of the Lough. I catch too few of the damn things to know! 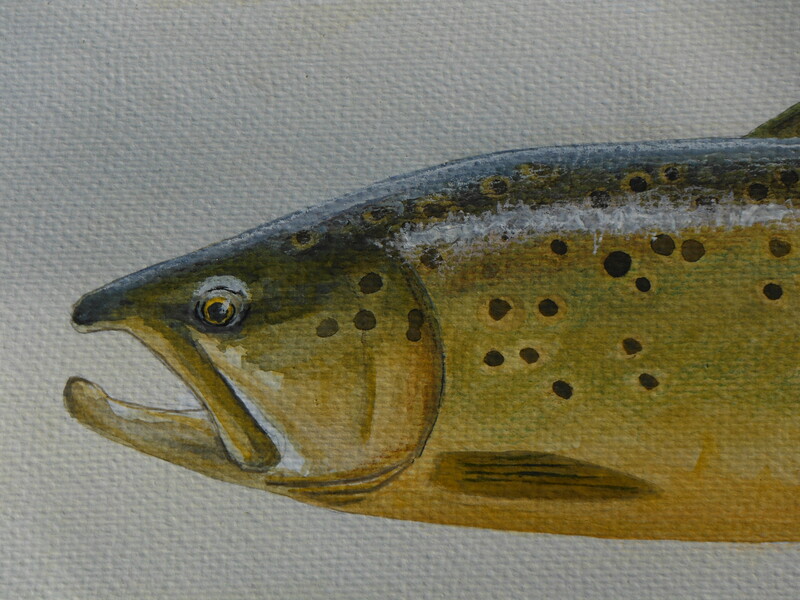 Here is the painting of an Arrow trout based on one of Finny´s pictures. I hope the original finally gets to him! 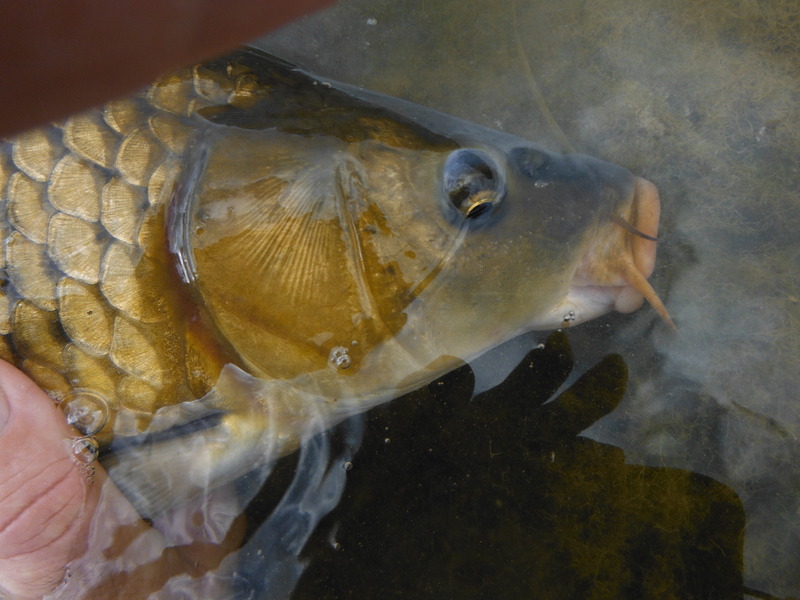 I managed to sneak out to the river this morning and took a couple of carp on a little pink nymph. The fish were very pretty and I took a few photographs which, I hope, will help me to make some watercolour paintings. Both fish were taken around 10 in the morning. Once they had been recorded for posterity the fish were gently returned and swam off strongly. 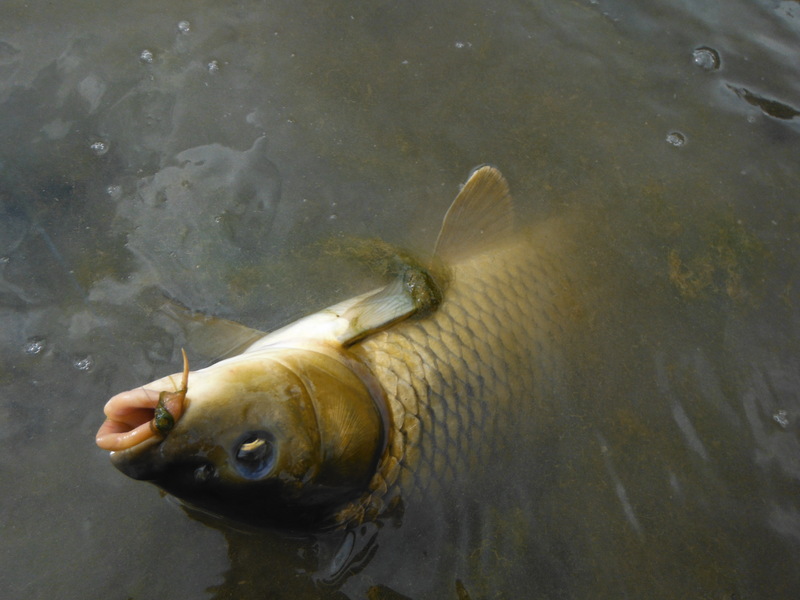 The carp seem to be locally abundant and there were plenty of fish in this stretch but almost nothing in the long stretch of similar water upstream. It is well worth being prepared to walk!